Jason Kravitz (Brussels, Belgium) on 6 June 2005 in People & Portrait. While visiting my parents in Pittsburgh, I also got to see my feline friend Sprocket. 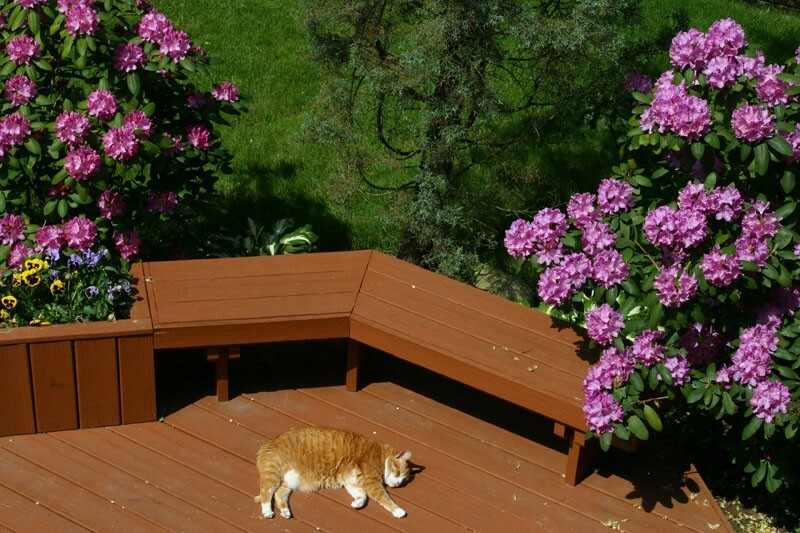 Sprocket is about 13 years old and enjoys napping in the sun on the back porch. I am in Slovakia this week so I'll have limited access to am3 - hope to have some new photos to post when I return! Have a nice time in Slovakia! Very nice saturated colors! Have a great time! This cat seems to have a very difficult life. Have a nice time in Slovakia! is it for work or for holidays ? Hey Sprocket! He looks dead to the world. Love the bright purple flowers that encircle the shot. Well done.